Last weekend at Kids Read Comics I met several artists that were all kinds of awesome. 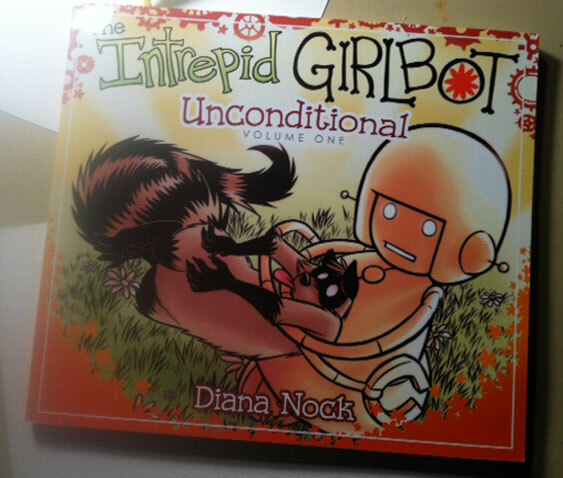 One of them was Diana Nock, creator of a web comic about another little female automaton, The Intrepid Girlbot! 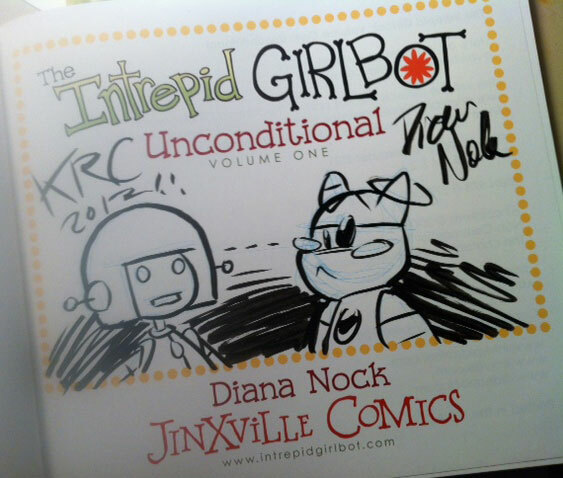 I picked up her first volume and lookit the cool drawing she did for me. Go check out more of Girlbot’s adventures at intrepidgirlbot.com! Pretty awesome though considering her first time drawing Ellie. Who knew? Great minds think alike and all that! I’ll have to check out that comic!